What did Paul mean when he said, “you’ve fallen from grace”? What does Paul mean by this? Many have claimed that Paul here is teaching conditional security (as opposed to unconditional); the thought that one can lose their position in Christ, no longer being saved. But is this what this passage is teaching? I really don’t think so. First of all, from the context, Paul was not speaking about the status of one’s salvation. Paul here (as he has been addressing throughout the entire letter) was speaking of the method of salvation. Meaning, Paul wasn’t arguing whether someone is saved; his primary concern here and all throughout Galatians was how one becomes saved. And in Galatians, Paul had been arguing for free salvation through faith in Jesus, and against works-based, self-meritorious salvation. And in fact, the Galatians had been duped by false teachers into thinking that the way someone is saved is through adherence to specific laws and outward obedience. They were tricked into thinking that if they obeyed enough, that they would be accepted and loved by God. But Paul was arguing that people are saved not on the basis of merit, but on the basis of grace. People are not saved by performance, or by outward actions, or by righteous deeds, but by the performance of Another; namely, by the performance of Jesus. With this context in mind, I think it is clear that in Galatians 5:4 Paul was telling his readers that by attempting to win God’s approval through works, they were operating in a crippling system of legalism and works-righteousness, as opposed to salvation by grace. In this light, Paul was not saying that people can sin their way out of salvation. He was not introducing this concept that a Christian could out-sin God’s grace, or forfeit their salvation through licentious living. In fact, Paul never had this concept in his head when he brought out this phrase “fallen from grace”. It is ironic that some mean “lose salvation” when they say “fall from grace”. But again, given the context of the entire book of Galatians, this cannot mean what Paul meant. And in fact, with Jesus’ perfect work being the ground of salvation, the thought that a Christian could out-sin grace would have been detestable to Paul. In reality, when Paul said that the Galatians had “fallen from grace”, he was referring to the deadly thought that anyone could ever work their own way into salvation. Paul was refuting the Galatians’ legalism, not their licentiousness (Paul does renounce licentiousness in Romans 6 — but not here). Again, we cannot miss the context of this phrase. So then, the Galatians had fallen from grace in that they were trying to earn the love of God with their own works. They had fallen from grace in that they thought their works could somehow merit God’s approval. They had fallen from grace in that they were not trusting the merit of Jesus, and in his sin-atoning death to attain the love of God for them. But Paul was not saying that they had lost their salvation. 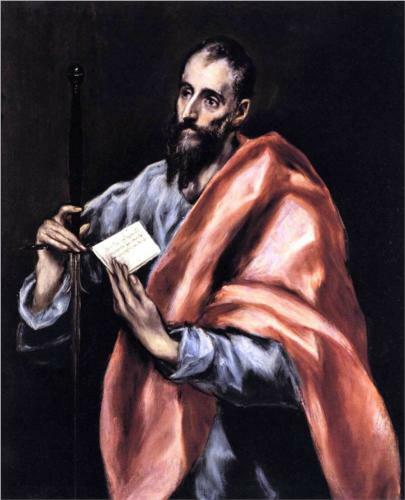 Rather, Paul was reminding of the gospel of Jesus Christ. He was reminding them that the only way they could win or earn or achieve any type of love or acceptance from God was through the life and death of Jesus. Because through faith in Christ, Jesus’ perfect performance was given to them. And all of their sin was hoisted onto Jesus and punished in their place. Jesus had already done all the work. He had already lived the perfect life. He had already atoned from the sins of his people. And for that, those who had believed were already beloved children in the Father’s eyes (Mark 1:11). Why should they severe themselves from this truth? Why should they remove themselves from this grace? Paul was writing to make sure they understood where their righteousness came from. James Boyce, commenting on this verse, says, “to ‘fall from grace’, as seen by this context, is to fall into legalism. Or to put it another way, to choose legalism is to relinquish grace as the principle by which one desires to be related to God”. When our own works are the principle by which we relate to God, we are fallen from grace.